Your website is your sales force. Don't settle for second-best. ♦ The complete design, build and plan service as described on the Design Build and Plan pages. ♦ 12 months hosting, essential site maintenance and personal support. ♦ An additional one month hosting on a hidden temporary domain while GiteWise works with you to develop your site. ♦ Transfer of your finished site to your own domain on GiteWise hosting. If you have more than one gite or another type of accommodation, such as chambres d’hôtes, you’ll need to allow for an extra page or section for each. The cost for additional accommodation beyond a single gite – which covers not only the relevant page or section under the Accommodation heading, but also the price table, availability calendar and any cross-referencing – is £50 each. So if you have three gites, you need to add another 2 x £50 to the base cost. Similarly, if you’d like to expand your local attractions / local area coverage or include a promotional feature or dedicated special offers section, extra pages may be needed. You can add as many other pages or sections as you like. 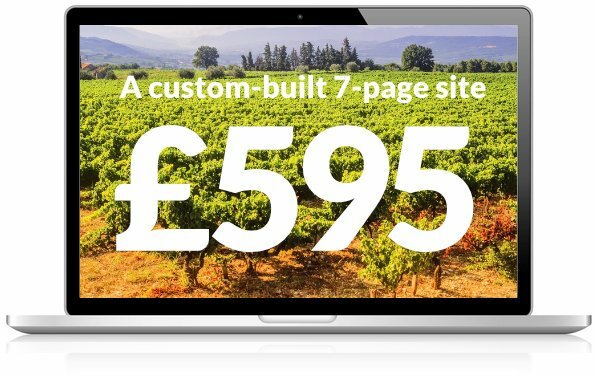 Each additional (non-property) page or section costs £30 – £50, depending on how much additional work is called for. For more information about additional pages and sections, please visit the FAQs page. Be warned, writing the words for your website will take you far longer than you expect. It’s like that for everyone. The good news is The GiteWise Website Planning Guide will take you through the basics of what you need to write, page by page. Even if you already have a website, I recommend you rework your content in line with the Guide. As a professional copywriter myself, I’m used to writing succinctly, clearly and in a way that communicates effectively. But I generally refrain from making major changes to supplied text. I do, however, find most clients need help with their home page, so I often step in if asked (and sometimes even if not!). If you would like more comprehensive help with writing your site content, then I’m happy to provide it. The cost will depend on the work involved and what original content I’m starting with, but as a guide, it will be £60-£120. For more detailed information about the GiteWise service, see the FAQs page.